With states stepping in, can Obama control the US Ebola response? For weeks, the White House has battled criticism of its handling of the Ebola virus outbreak, but with Congress out of session for the midterm elections, the administration acted as the singular government authority on the nation's response. Now, governors of several states are stepping in with their own policies, including mandatory quarantines of health care workers returning from West Africa who were exposed to Ebola patients. The policies fly in the face of recommendations from the nation's top health experts. The argument, as delivered by Anthony Fauci, the head of the National Institute of Allergy and Infectious Diseases at the National Institutes of Health (NIH) Sunday on "Face the Nation" was this: Health care workers might be disincentivized from traveling to West Africa to fight the epidemic if they know they will be greeted by an automatic three-week quarantine when they return home. "The best way to protect Americans is to stop the epidemic in Africa. And we need those health care workers to do that," Fauci said. The stern response from the White House appeared to have at least some immediate effect. In a press conference Sunday night, New York Gov. Andrew Cuomo, a Democrat, softened the conditions of the mandatory quarantine, saying that health care workers who are returning from treating Ebola patients but display no symptoms of the illness will still be largely quarantined and monitored, but in the comfort of their own homes. The state will communicate with their employers to ensure they are not disadvantaged at work and will help pay their salaries for the three-week quarantine if necessary. They will be allowed to receive visitors. "Some people will say we're being too cautious. 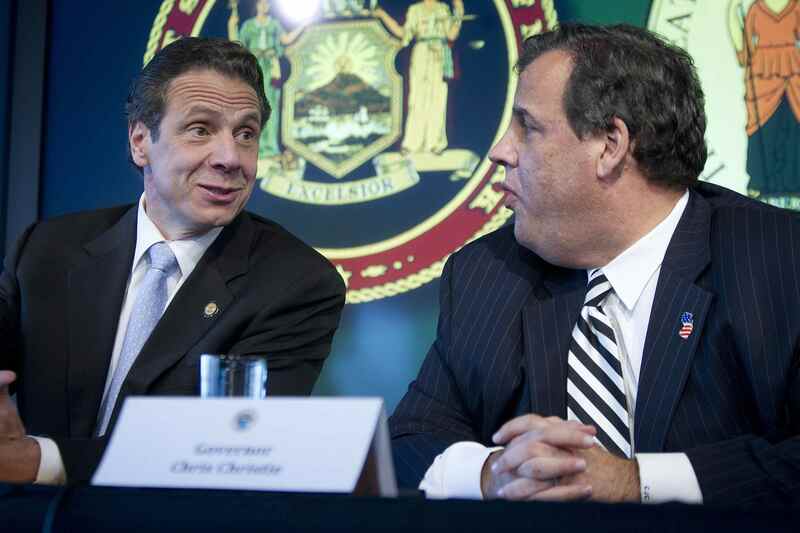 I'll take that criticism because it's better than the alternative," Cuomo said. He rejected suggestions from reporters that his stance had shifted since Friday, and said he had not come under any pressure from the White House. Asked about the Obama administration's criticism, Cuomo suggested that he had to act because the Centers for Disease Control and Prevention (CDC) had yet to establish a protocol, but that it was within the state's authority to act. "If the CDC thinks that a different policy would work in a different part of the country, that's great, but I think this is the best policy for New York," he said, predicting that his state's plan "will probably be somewhat safer than what the CDC comes up with." But there's no indication those guidelines will change the approach of the other states, New Jersey and Illinois, that have established mandatory quarantines. New Jersey Gov. Chris Christie, a Republican, predicted the CDC would eventually "come around to our point of view" on the matter, and refused to budge from his state's plans in a Sunday morning television appearance. "I don't believe when you're dealing with something as serious as this that we can count on a voluntary system. This is government's job," Christie said on "Fox News Sunday." "If anything else, the government job is to protect safety and health of our citizens. And so, we've taken this action and I absolutely have no second thoughts about it." He noted that Cuomo agreed that the quarantines were a necessary step "to protect the public health." Perhaps adding insult to injury, he added, "And now, Mayor Rahm Emanuel agrees." Emanuel, now the mayor of Chicago, was Mr. Obama's first chief of staff. He has not publicly weighed in on the quarantine, which was implemented by Democratic Gov. Pat Quinn (who is fighting a tough re-election battle). CBS News chief medical correspondent Jonathan LaPook said the current measures are "being done on the fly," and he added, "This is something that has to be thought out." Later Sunday evening, a spokesman for Christie said the state is not changing its quarantine protocol and that any New Jersey residents who came into contact with someone with the Ebola virus but were showing no symptoms would be quarantined at home or at another facility in New Jersey. In addition to the disagreements between the federal government and those states, there appears to be at minimum incomplete communication between state and city officials. After Cuomo and Christie announced the new quarantining procedures last week, at least one member of New York Mayor Bill De Blasio's administration was taken aback. A senior city official told the New York Times that the city's health commissioner, Mary Bassett, was "furious" about not being informed of the quarantine order in advance. On Sunday De Blasio also called the treatment of Kaci Hickox "inappropriate." Hickox is the nurse who was the first health care worker to be quarantined under the new policy. She tested negative for Ebola and hired a lawyer to help her sue for her freedom. By Monday morning, Christie announced that she was being discharged. By Sunday evening, though, tensions seemed to have eased. Both De Blasio and Bassett appeared beside Cuomo in the Sunday evening press conference and endorsed the policies. Bassett echoed top government officials who have stressed the importance of fighting the outbreak in West Africa, and De Blasio said Hickox's experience must not occur again for other health care workers.